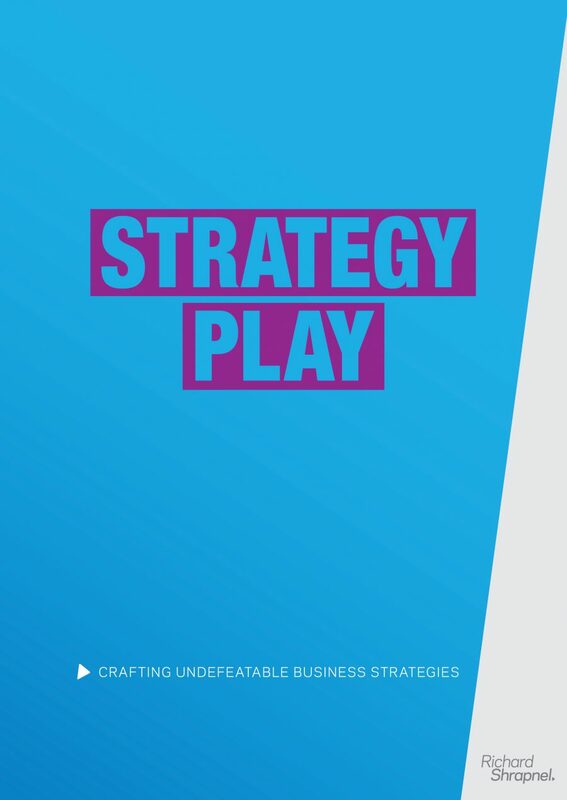 Strategy Play is an invaluable resource for any business leader who wants to create a great business with enduring profits and compounding capital value. This guide will provide you with the foundation to understand strategy, a detailed roadmap and workbook to craft your strategy, and the tools to make sure it is delivered. Opening Chapters including 'how to use this guide'. Part One - Let's Talk Strategy: Introduction, the importance of strategy in supporting leadership, a quick leadership test, becoming and staying great, the role of purpose, mission and vision, knowing what success looks like for you, lifecycle of a business, changing seasons, creating capital value, and being able to compete. Part Two - Orienteering Strategy Play: importance of play, who should be involved, elements of strategy play and strategy play map. Part Three - Strategy Play Workbook: 39 sections under seven categories in progressively creating your strategy. Questions, explanations and a workbook to complete as you are guided in developing your strategy. Following areas are included: your history and its impact of strategy, your marketplace and its characteristics, competitive landscape, competitor analysis, analysing your customer value, your competencies and capabilities, positioning, developing growth strategies, crafting your competitive posture, designing the organisation to deliver your strategy, maximising organisational performance, testing your strategy against the future, developing simple guiding principles, financially validating your strategy, identifying and mitigating risks, understanding the impact of the strategy on your organisation, and developing your implementation strategy. Part Four - Making Strategy Work: Concepts of delivery and adaptability, setting the right goals to achieve delivery of your strategy, crafting your delivery plan, and setting out the how and when of delivery so it can be monitored, measured and achieved. Part Five - Strategic Management Toolkit: A supporting section summarising and explaining contemporary strategic management theory. A toolkit to assist in understanding the concepts and language, a mini-MBA on strategic management theory. And only for those who feel they would like to understand more. Strategy is simply how you intend to compete as a business – but there is nothing simple about competing effectively. Your goal should be to develop undefeatable strategies in building a great business, and nothing less should be acceptable. Your Strategy Play guides starts by establishing the right foundation for strategy in your business and makes sure all your leadership team are on the same, and right page, when it comes to the importance of strategy to the success of your business. This foundation is so critical to effective leadership in your business, and is often where businesses fail without even recognising it. Your detailed Strategy Play workbook starts with the history of your business and its impact of strategy, continues through an analysis of the market you have chosen to compete in, reviews your competitors’ offerings, strengths and weaknesses, lifts your strengths to the surface and allows you to correctly position yourself to win. It doesn’t stop there, it then leads you to design and craft the organisation that will deliver your strategy. And tests your competitive strategy against future scenarios, supporting the creation of simple guiding principles to ensure everyone in your business is focused on success. Financial viability and risk mitigation is then tested. And of course, strategy is nothing without delivery, so you will then be lead through the development of an effective implementation plan and create a goal achievement plan to make sure it all happens. Strategy Play will lead you step by step through the crafting of your undefeatable strategy providing context, clear explanations and posing the right questions for you to build the best possible strategy for your individual business. The outcome of business strategy today must be to build businesses that are competitively fit and tactically alive. These are the great businesses of tomorrow. Strategy Play will set you on this path. No matter how large or small your business, no matter how old or new (or even if you haven’t started your business yet), Strategy Play will provide you with the understanding and insights to make it a great business. Buy it now and start developing your business strategy immediately. You will find yourself continually referring to it as a critical reference. Digital – download for immediate solutions. Printed – an amazing full-colour workbook on its way to you. Combined – immediate solutions and the full-colour workbook. 1. Digital – immediate download and print your own copy. A 200-page full-colour guide in PDF format, which you can immediately download to start your journey without a pause. You will receive both a printable full-colour edition and a black and white edition. We recommend using the colour edition on your digital device and printing the black and white edition. This is a single user licence for one digital copy and one printed copy. 2. Printed – full-colour spiral-bound workbook. Free delivery of this right-sized workbook will allow you the convenience to craft and plan your future in an easy to carry and beautifully designed guide. It is also a perfect gift for anyone you want to encourage and support. Delivery by international air-parcel postage, or domestic parcel post, from Australia. 3. Combined – the best of both worlds, both the digital and printed editions. Immediate download so you can start working within seconds of buying the guide. And the full-colour spiral-bound workbook, on its way within a day of your order. This option is truly the best of both worlds: digital and printed. Note: all prices are in US Dollars (USD) and delivery is included. In addition, you will also gain membership to the Entrepreneurs+ Community and receive a weekly subscription to ‘Compete Weekly’, an e-newsletter that provides unique insights on strategy, growth, competitiveness and leadership. It will teach you how to make your business competitively fit and take its performance to an entirely new level. Provide the knowledge you need. Each guide is a crafted workbook developed to support you to take yourself and your business to greater heights.